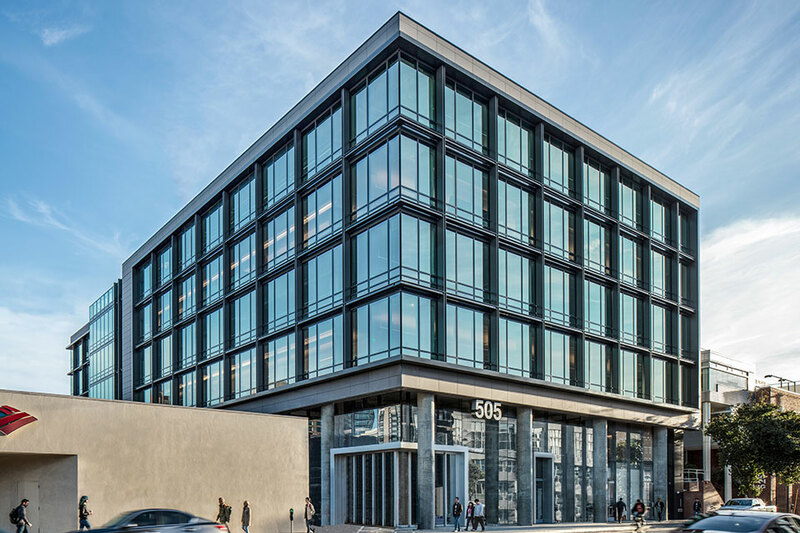 TMG entitled the 150,000 square foot office building on the former surface parking lot of a bank betting that the Central Subway expansion would make this SOMA location near the CalTrain Station even more desirable. 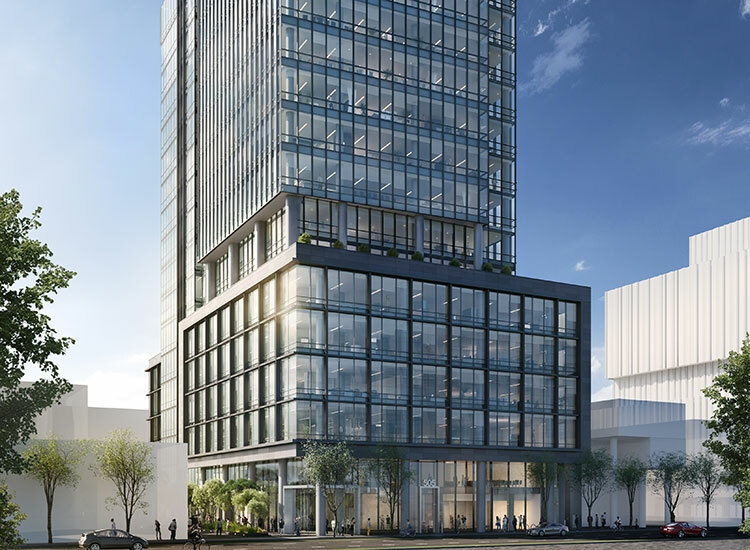 Recognizing too that the Central SOMA rezoning would enable construction of a bigger building, but unwilling to wait for the slow moving plan to be enacted, TMG designed 505 to be constructed as a six-story building permitted by the old zoning code, but with the foundation and other building infrastructure designed to facilitate a future eleven-story vertical addition once the upzoning process is complete. Working in partnership with ARE, the first phase has been constructed LEED Platinum and is fully leased to Pinterest. The project includes a two-story lobby featuring a neighborhood serving cafe/sandwich shop, plus large sliding doors that open onto the landscaped mews between the project and the neighboring bank branch. A rooftop deck captures extraordinary downtown skyline views which will look even better from the upper floors once the addition is constructed.